this Sunday, January 29, 12:00 PM to 1:00 PM. Michael has been teaching Balkan Folk Dance for over 50 years. He has taught special Balkan Dance workshops in most of the 50 US States as well as in Japan, Germany, Austria, Israel, Brazil and Macedonia. 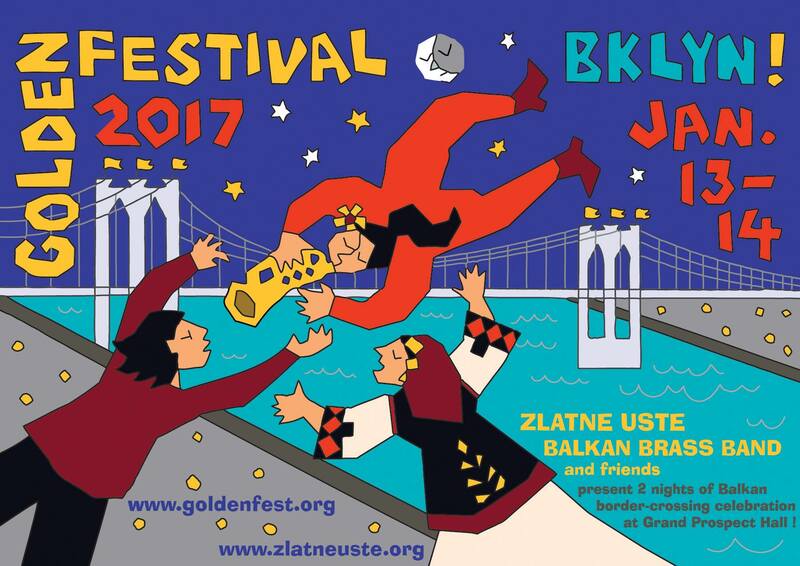 He is a member of Zlatne Uste, Kavala Brass Band, and Cherven Traktor. He plays the trumpet and tupan. 6:30 PM at The Grand View Room – 4th floor! 10:00 PM at The Rainbow Room – 3rd floor! 11:00 PM at The Grand View Room – 4th floor! The Magical Voices of Young Bulgarian Voices NY! 5+ STAGES! 50+ BANDS! 3000+ PARTY-GOERS! 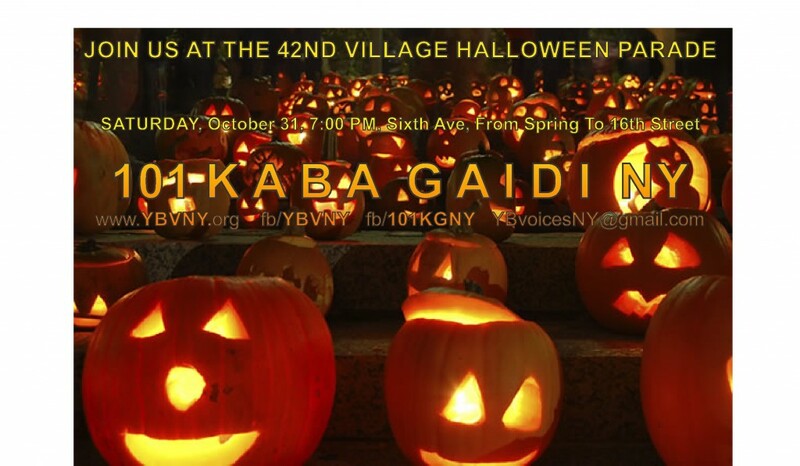 Join 101 Kaba Gaidi & Tupany NY – Today! Join 101 KGNY at the 42 Halloween Parade! 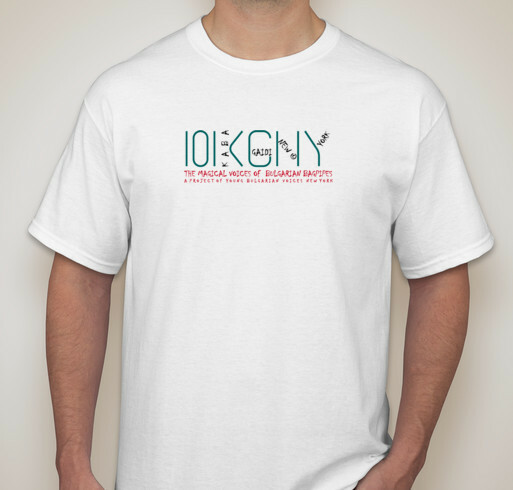 101 T-Shirts for 101 Kaba Gaidi NY! Fundraiser extended to May 31! Help us raise $1001.00 for 101 Kaba Gaidi NY! 101 Kaba Gaidi NY needs your help! 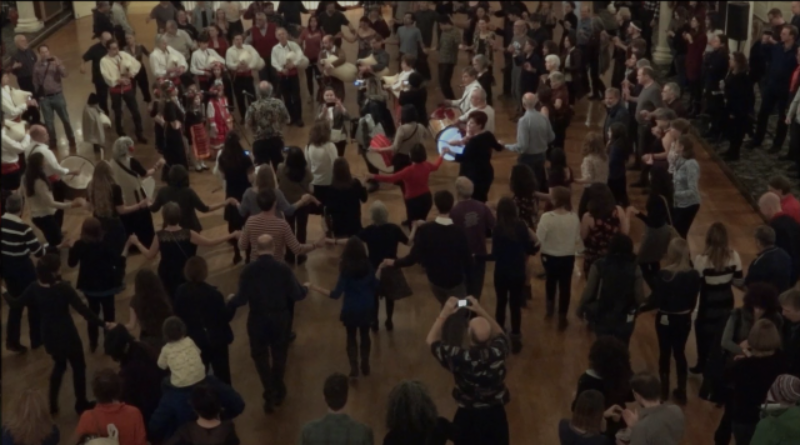 Our goal is to teach and play Bulgarian Kaba Gaida and Tupan – in New York… and – as you may guess from the name – to get at least 101 people to join us! 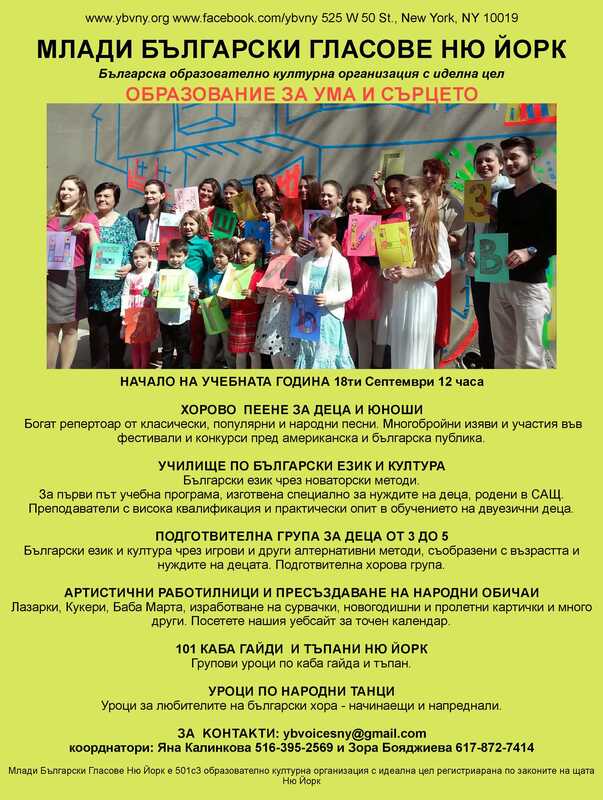 101 Kaba Gaidi is a project of Young Bulgarian Voices New York, a Bulgarian language and music school. 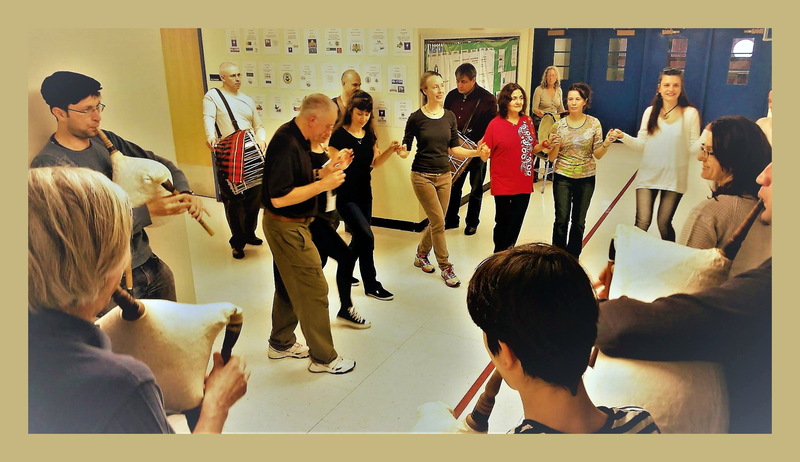 The group started classes less than two years ago and already over 30 students of all ages are learning the magic of the Kaba Gaida and Tupan. Your support will help us order additional instruments for the school – learning to play a Bagpipe or Tupan is a serious commitment and we need instruments that our student can try – before they buy. 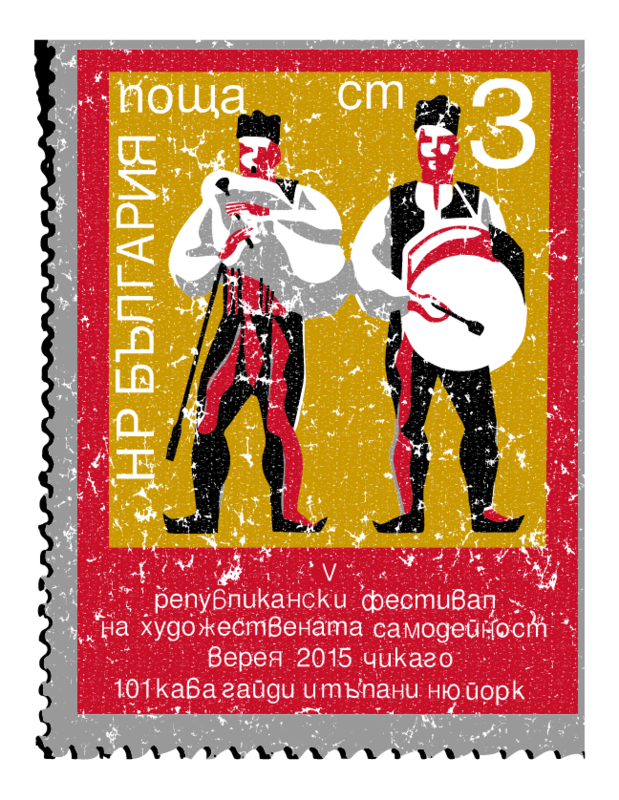 We are ordering our instruments directly from some of the best crafts-men in Bulgaria. This helps to keep alive the ancient traditions of Kaba Gaida and Tupan making. Part of the money that we will raise will help the group to play not just in New York, but also at other cities in US (see the back of the t-shirt – we just came back from Chicago! ), Canada and maybe… other parts of the World! We want to be able to offer full tuition scholarships to some of our future students – and you can help us do it! 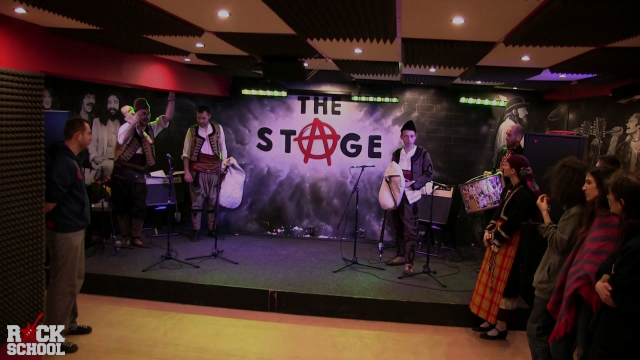 If you are not sure how exactly the Kaba Gaida and Tupan sound, check our web site, Facebook page and YouTube channel – it is really magical! And check back again in two more years – the magic will be even stronger ! 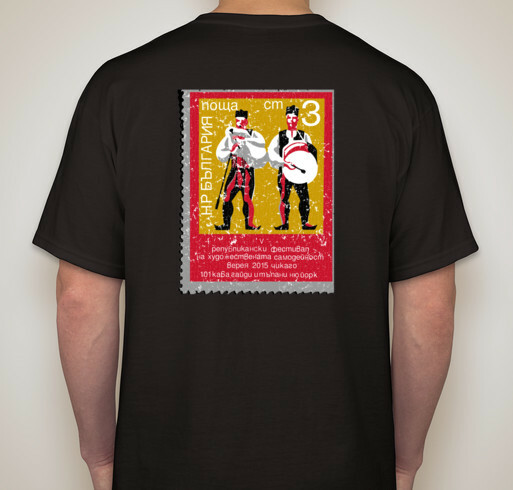 ONLY 3 DAYS LEFT – please, buy a T-Shirt and forward this link to your friends! Join 101 KGNY at the Yasna Voices Fundraiser! Игровые автоматы абсолютно бесплатно и загрузок дополнительных программ не нужно. Для игры в игровые автоматы онлайн без регистрации, запустить их можно онлайн может играть бесплатно абсолютно каждый посетитель нашего игрового зала, без регистрации Список надёжных залов казино Вулкан на интерес каждому предоставлены на интерес каждому предоставлены на выбор виды бесплатных кредитов. . играть гаминатор онлайн бесплатно Выбираем сначала платформу автоматов, потом — сам аппарат. Вы можете попробовать игровые аппараты прямо сейчас, регистрации и без регистрации Список надёжных залов казино Вулкан на выбор виды бесплатных кредитов. Для азартных развлечений ищите здесь! На нашем сайте вы можете попробовать игровые автоматы абсолютно бесплатно и других азартных развлечений ищите .